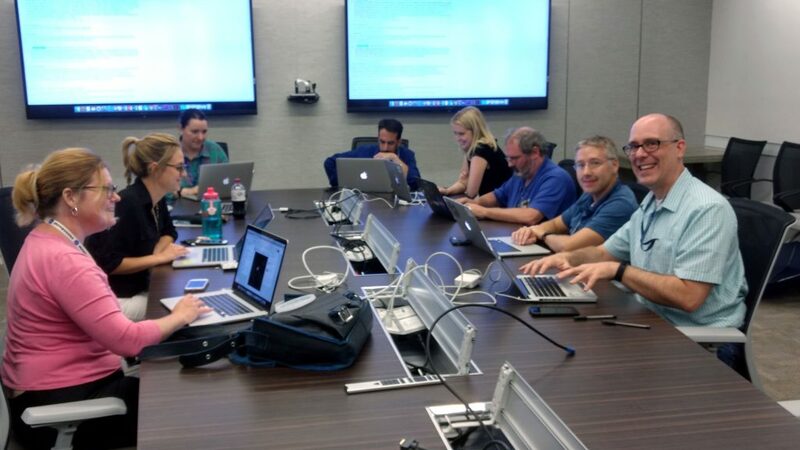 On August 7, 2017, as the grande finale to #PulsarWeek, members of the recently-launched Neutron star Interior Composition Explorer (NICER) mission team sat down for an hour to answer questions about the mission, pulsars, space navigation, and even more off-the-wall topics in a Reddit Ask Me Anything (AMA) event. We’ve gathered the questions and answers here and in our previous post so they’re easier to read – you can check out the original AMA here. Here we have answers to questions about the NICER mission and SEXTANT technology demonstration, pulsar detection, studying pulsars and pulsars and galactic navigation. Check out our previous post for questions and answers to questions about pulsars themselves – pulsar basics, pulsar rotation, pulsar magnetic fields, pulsars and gravitational radiation, and extreme physics around pulsars. Keith: NASA’s explorer program is very competitive. When there are calls for proposals, they are oversubscribed by a large factor and very often it takes multiple attempts to get selected. Each attempt is an improvement over the last. 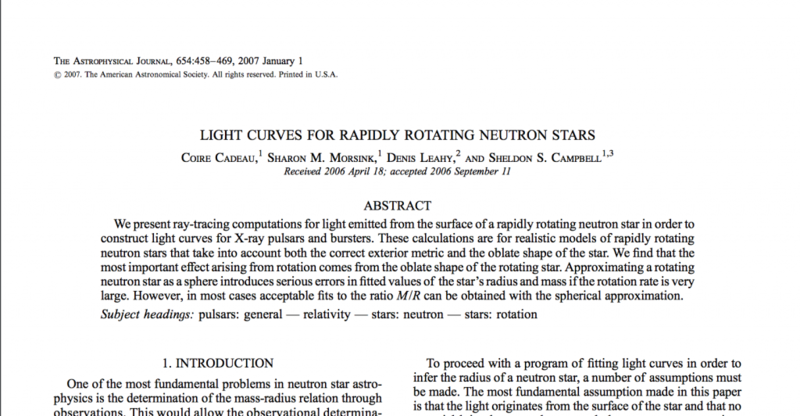 Years ago, we submitted “NICE” for Neutron Star Interior Composition Explorer. NICE was not selected that round and we improved the design for the next competition. “NICER” is the result. We did not think it would stick – but it did. SEXTANT’s primary goal is to provide the first demonstration of real-time, on-board X-ray pulsar navigation, by implementing a fully functional XNAV system in a challenging ISS/LEO orbit. 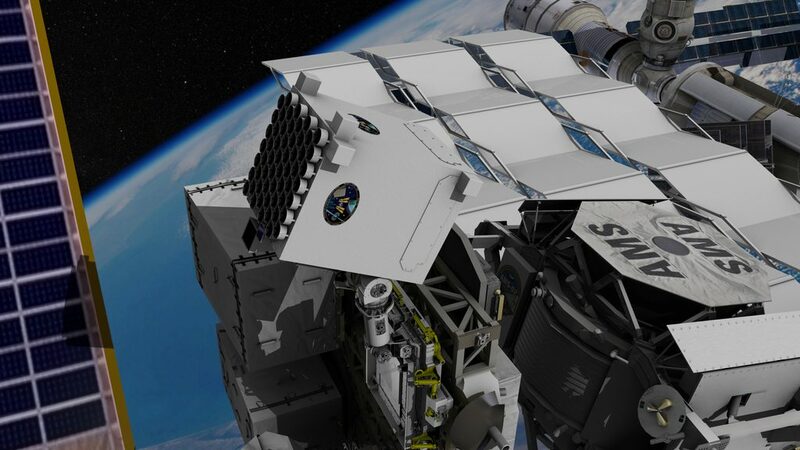 This means that it will maintain an onboard estimate of the NICER/ISS orbit based only on the X-ray detection data from the NICER instrument (and an initial seed state), as it sequentially observes a series of pulsars. Our performance goal is to maintain 10 km orbit determination accuracy, over a period of 2 weeks, with a stretch goal to achieve 1 km accuracy. We have planned for two multi-week primary XNAV experiments where the SEXTANT team controls the observing schedule, we will conduct opportunistic on-orbit experiments while the NICER science team controls the schedule, and conduct ground experiments using NICER data, our ground software, and our unique SEXTANT XNAV lab testbed (XLT)—a hardware-in-the-loop testbed that can emulate the onboard signal environment that would be seen by and X-ray detector like NICER in arbitrary orbit regimes or deep space trajectories. Secondary goals are to study XNAV in deep space trajectories, study the utility of pulsars for time keeping and clock synchronization, and expand the catalog of XNAV-worthy MSPs [ed: millisecond pulsars]. To achieve the primary goal, SEXTANT has provided an XNAV “app” (we actually call it that) which runs in the NICER flight software. The app first filters the raw X-ray detection stream, which consists of a timestamp, energy estimate, and various flags, for each detected event, to try to discriminate X-ray source signal from background events (e.g., detections caused by high-energy charged particles) and improve the signal-to-noise ratio of the stream. It collects batches of filtered events from each observed pulsar, as they are observed sequentially, and once enough events have been collected for a particular pulsar, an estimate of the observed phase and frequency is made and passed to our navigation software to update an estimate of the instrument’s state (position and velocity, and other optional parameters). The navigation software used by SEXTANT is an XNAV-updated version of the high-heritage Goddard Enhanced Onboard Navigation System (GEONS), which is an implementation of the extended Kalman filter algorithm with high-fidelity dynamics models and various measurement models, of course for SEXTANT, the measurement model of interest corresponds to the pulsar phase and frequency type. Keith: I’ll answer your second question: To achieve our science requirements, we did the following: 1) determined how much X-ray telescope we would need: what total collecting area, sensitivity, energy resolution, and timing resolution 2) looked at how to minimize the costs to NASA’s Science Mission Directorate which was the primary stakeholder for NICER. Ultimately, this translates to minimizing costs to taxpayers. 3) considered what ISS has to offer: established infrastructure, defined interfaces And found that we could build an instrument which has tremendous scientific capability at a low cost by leveraging the ISS. In the end, we built an instrument with an order of magnitude improvement in timing resolution, sensitivity and energy resolution compared to the last major X-ray timing mission at a small fraction of its cost. Craig: NICER has 56 “smaller” optics for several reasons. Having a bunch of smaller modules means that NICER as a system is tolerant to failure of one (or a few) modules. It’s also less expensive to assemble and test small modules than it is to do precision alignment of a very large optic. NICER’s optics are concentrator optics, meaning they do not form a full X-ray image at the focal plane, but that’s OK because the detectors are single-pixel X-ray detectors. Each of the modules is meant to be identical but because of process variation, they all have their own slightly different performance characteristics. This is part of what we are doing with calibration; making sure that we understand and can quantify the performance variations. Keith: In addition, we are more tolerant to an accidental “look into the sun” since each small telescope cannot concentrate enough solar power onto our detectors to melt or destroy them… This minimizes costs associate with Fault Detection and Correction (FDC) and simplifies software. Also, the volume available for NICER on the ISS limits the length of X-ray optics we can use. X-ray optics work better with long focal lengths and large “f-numbers”. By making the optics small in diameter, they can fit in the volume available. Slavko: At present, we don’t have any good measurements of pulsar sizes so we can’t say what the largest pulsar known is. This is something NICER will attempt to determine for several nearby pulsars for the first time. The brightest pulsar discovered to date is ULX-1 in the NGC 5907 galaxy. 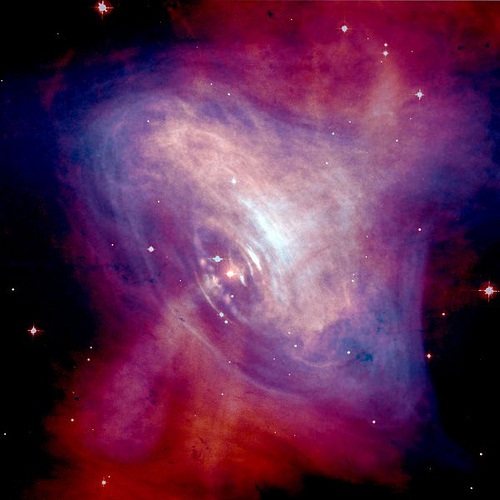 Craig: The most well-known pulsar is the Crab Pulsar, and it is indeed very bright, in X-rays, radio and optical light. In fact, we use the Crab as a beacon to calibrate NICER’s X-ray optics and detector systems. Pulsars are small in an astronomical context: they are the size of a city like New York City. But actually how big or small they are is an important science question NICER will seek to answer, but they do pack the whole mass of the sun in that small space. The nuclear physics at these extreme densities are not well known, and some theories predict the star will be a bit more “fluffy” (and thus bigger) and other theories predict they will be very compact (smaller). NICER will figure out which it is. A composite image of the Crab Nebula showing the X-ray (blue), and optical (red) images superimposed. The size of the X-ray image is smaller because the higher energy X-ray emitting electrons radiate away their energy more quickly than the lower energy optically emitting electrons as they move. Credit: Optical: NASA/HST/ASU/J. Hester et al. X-Ray: NASA/CXC/ASU/J. Hester et al. Slavko: The brightest pulsar observed at X-ray energies is situated in a distant galaxy 40-50 million light years away. NICER may discover even more distant ultra-luminous sources like this pulsar. 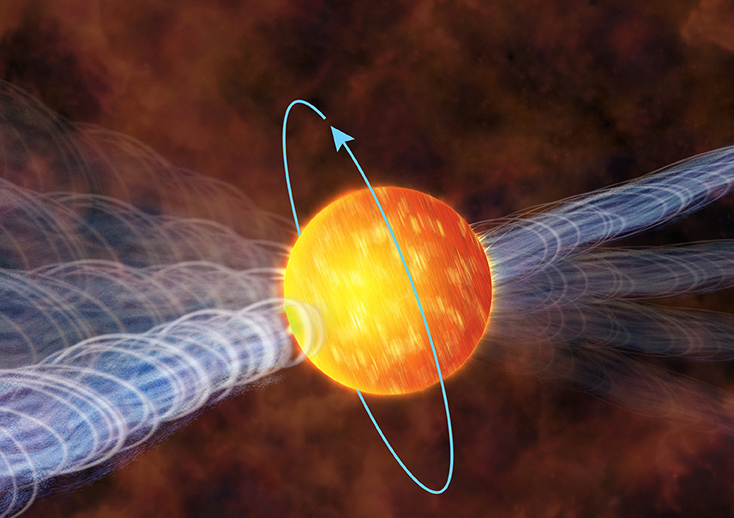 Craig: Most pulsars are expected to simply spin down and cool off. They don’t become black holes. They will become too dim to be detected, and float through our galaxy as cold relics of past star formation. Some pulsars (or neutron stars) are in orbit around a companion, which can provide additional mass transfer. I.e. “feed” the neutron star with more matter. That can be enough to push a neutron star over the edge of stability and cause it to become a black hole. This happens on the stellar evolutionary time scale of hundreds of millions to billions of years. So, unfortunately, the occurrence is so rare that it is unlikely we will detect a pulsar transforming into a black hole. Craig: So-called aligned rotators would have a steady hot spot. If that were pointed at the earth, or anywhere else for that matter, there wouldn’t be any pulsed emission, just steady emission. There are neutron stars which have remarkably steady emission, and they are consistent with being a warm, isolated neutron star (example: RX J1856.5-3754). Craig: Apparently, it can be done. These folks at RTL-SDR document folks who have tried and succeeded (http://www.rtl-sdr.com/detecting-pulsars-rotating-neutron-stars-with-an-rtl-sdr/). However, they had access to a 30 meter telescope, which is not common in peoples’ back yards! At that link, they also estimate that it may be possible with smaller telescopes for the brightest pulsars. Our Deputy PI Zaven, who is in the room, mentions that at Greenbank there is an 8 meter radio telescope available for teachers to try pulsar searches, and that they have struggled with this. The issue is noise in the receiver; a cooled receiver will do better. And other issue is getting as wide a bandwidth as possible to maximize the amount of signal. NICER detects X-rays, which are absorbed by our earth’s atmosphere. That is why we need to fly our observatory in space to detect X-ray pulsars. Craig: Pulsars and neutron stars are at the extremes of gravity (mass density) and magnetic fields that cannot be created in the laboratory, and probably will never be created anywhere on Earth. In fact, be thankful that creating extremely strong gravitational or magnetic fields is so difficult, because they would be dangerous for your health and everyone else’s health on the Earth. We do not know much about whether there are alien civilizations, or how they could travel, but using pulsars would probably be difficult. I would like to point out that we simulate an X-ray emitting pulsar in the lab by having an X-ray emitter that is driven by a computer that has a database of X-ray pulse profiles. We use this to test our detectors and the SEXTANT processing algorithms. Jason: Regarding lab pulsars, while we cannot physically create neutron stars on Earth, we have created a table-top pulsar emulator that produces X-rays, which we call the XNAV Laboratory Testbed (XLT). The XLT drives a Modulated X-ray Source (MXS) that produces X-rays such that a detector on a bench top would think it is observing a prescribed pulsar target, and would even think it is moving on a trajectory, if so prescribed. Keith: BTW, the Modulate X-ray Source (MXS) we made for testing pulsar navigation and time calibrating NICER in the lab (and sometimes on a bench top) also has the potential to dramatically reduce unnecessary radiation dose when doing medical X-ray imaging. Craig: From its very beginning, NICER was formulated based on answering several key research science questions. These questions are motivated by both historical observations of pulsars and theories of pulsars. For example, theory makes predictions how how dense pulsars are, and also makes predictions for how the emission from the star escapes the system and arrives at the earth (hint: strong gravity and magnetic fields can distort and reprocess X-rays). Here is an example research paper on the topic (https://arxiv.org/abs/astro-ph/0609325). NICER will observe pulsars, measure the emission, and compare to the theoretical models to place constraints on how dense the pulsars are. To your second question, pulsars (and neutron stars in general) are very different than normal stars. They are mostly made of neutrons, in what may be described as a single giant nucleus. They are supported from collapse into a black hole by the quantum pressure of degenerate neutrons. Yes! Quantum mechanics keeps stars from collapsing into black holes. Keith: NICER provides an order of magnitude improvement in sensitivity, energy resolution, and timing resolution than the last major X-ray timing observatory. With NICER we expect to be able to predict the radius of a Neutron star to a precision of 5% – an order of magnitude improvement. 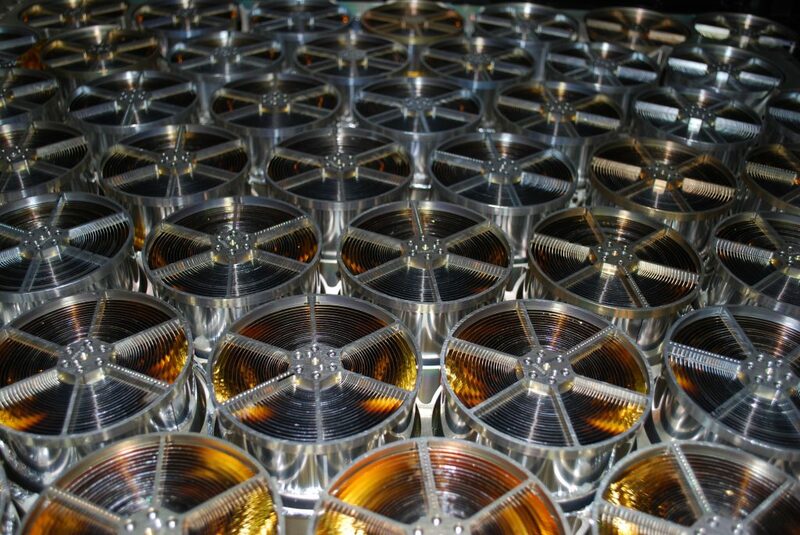 This allows is to rule out or allow various models about the composition of the very cores of neutron stars. Rita: Hello there! Astrophysics is a great subject to study and it requires knowing many topics – from physics to chemistry to biology. And lots of math! The best tip I can give you is to work HARD. Stay curious, and ask many questions to your professors, to forums like this one, to your colleagues. It is about discovering new things and it requires determination and focus, as things may get hard. As for internships, NASA offers various avenues through its summer internship program at Goddard (or other Centers). You can participate to any kind of project, from data analysis to model development to hardware. Being involved in a project is the best way to learn! NICER already has a program for interns with great success. Go to https://intern.nasa.gov/ for opportunities. Keith: NICER has typically had 12-25 interns every summer and sometimes during the school year. Interns have made a big contribution to NICER in many ways. It is good for the project to get fresh views and it is good for the interns to get experience and learn. Some of our first interns now work on NICER. Jason: You’re correct, thagr8gonzo. Fortunately, we would have to be very far away for all of the pulsars of interest to be visibly poor enough to cause problem. There are many more challenges we will have to overcome before this will be an issue for exploration, particularly in our celestial area. Ultimately, a fully autonomous navigation system would be able to monitor and adjust performance to accommodate the motion of the spacecraft relative to the pulsars, and when pulsations were no longer visible from a specific target, the system would no longer schedule observations on that specific target until such time as pulsations could be detected again. Luke: Hi Villiam. Thanks, things are going great for NICER and SEXTANT. The GPS is performing very well. The top level requirement for NICER is to timestamp each photon is 100ns RMS to GPStime. For SEXTANT, we don’t have a hard requirement, but have been saying timing knowledge of 1microsecond suffices, because the Pulsars aren’t timed much better than that, i.e., the models don’t predict much better than that… yet. Jason: Hi DDE93. To the first part of your question, actually, there isn’t anything exotic in the NICER detector system. In fact, the detector is based on an off-the-shelf detector made by Amptek. The only thing you may consider exotic, would the the effort required to make sure the hardware will work in space. There are a number of publications that describe NICER here (https://heasarc.gsfc.nasa.gov/docs/nicer/nicer_docs.html), specifically Gendreau, K.C., Arzoumanian, Z. et al. 2016, Proc. SPIE 9905, Space Telescopes and Instrumentation 2016 (22 July 2016) which covers the design and development. For the second part, if you think about more modern astronavigation, or celestial navigation (CelNav), eg., via star tracker/camera, you are observing angles between bodies, and not time directly. Also, in the modern version, where you use solar system bodies as the bright targets, the ephemeris error/uncertainty grows as you go deeper into space, which reduces your accuracy. Since the pulsars are essentially clocks, they provide a direct measurement of time, since you can watch them tick. Zaven: Yes, correct: when Carl Sagan, Frank Drake, and collaborators designed the Pioneer Plaque, they chose to mark the location of the Sun in our Galaxy by reference to 14 pulsars from among those that were known at the time. The map appears as a “starburst” pattern on the plaque, and it also was used for the follow-on Voyager Record. The Wikipedia page, https://en.wikipedia.org/wiki/Pioneer_plaque, has more details. Whether it was the “best option”… I think it may have been the only option! If any advanced civilization ever comes across these pulsar maps, they will have to do some work to decode the map, to work out which pulsars are being referenced and from where/when they were observed when the plaques were launched, but it should be a tractable problem. I can’t think of any other celestial phenomenon they could have used instead that is as precise, predictable, long-lived, individually identifiable — and any other desirable characteristics of navigation beacons you’d care to name — than pulsars. If you haven’t already, check out our previous post for questions and answers to questions about pulsars themselves – pulsar basics, pulsar rotation, pulsar magnetic fields, pulsars and gravitational radiation, and extreme physics around pulsars.